An amazing WordPress template that will surely make things easier for a lot of people. When it comes to community options – Foodbook has them all! With the new Airkit Framework that works 40% faster and front-end submission options this theme is an options monster! Drag and drop your own forms and create the perfect community settings for everybody. 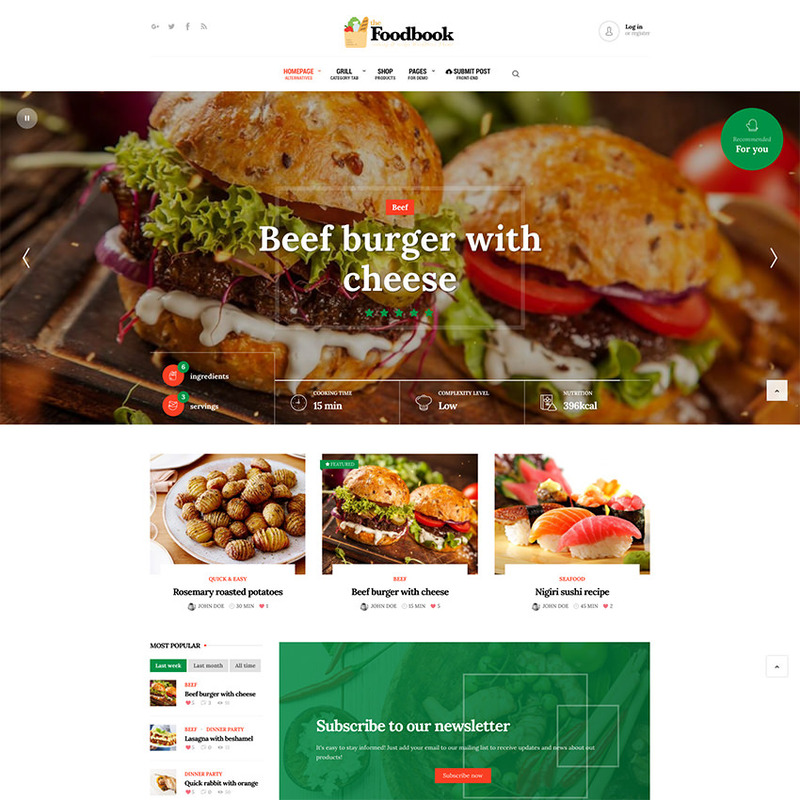 Foodbook is versatile theme that let’s you create amazing websites in minutes! We’ve set up 3 demos for you but the possibilities are endless. Choose from the 3 options to import: Recipe community, Blog or Restaurant and start your new website. If you want to create something different – Foodbook has you covered. With this product, we included amazing animations that pop up on completion, parallax effects, an advanced search filter and something really cool: blocks. This feature was firstly added here, meaning that you have pre-made blocks for your builder and you can just select them in the builder. We’ve even included some special effects for them. Do not miss the change to get an amazing product, get Foodbook now!